Assistive technologies have a way of going mainstream, of offering benefits to a community wider than the one for whom it was designed. Initially, text-to-speech output from computers was a way to make the technology (and content) accessible to people with visual impairments. But some people prefer learning (taking in information) in an auditory manner. Or they have long commutes. Ages ago I had students tell me that they would accomplish their class “readings” by having their computer “speak” the articles. Sometimes they’d record it for playback later. Here’s another group who might benefit from text-to-speech: writers. Although a boon to screenwriters or playwrights, text-to-speech functionality lets the author proofread by hearing, rather than reading. Some applications have text-to-speech enabled and accessible on the Edit menu. 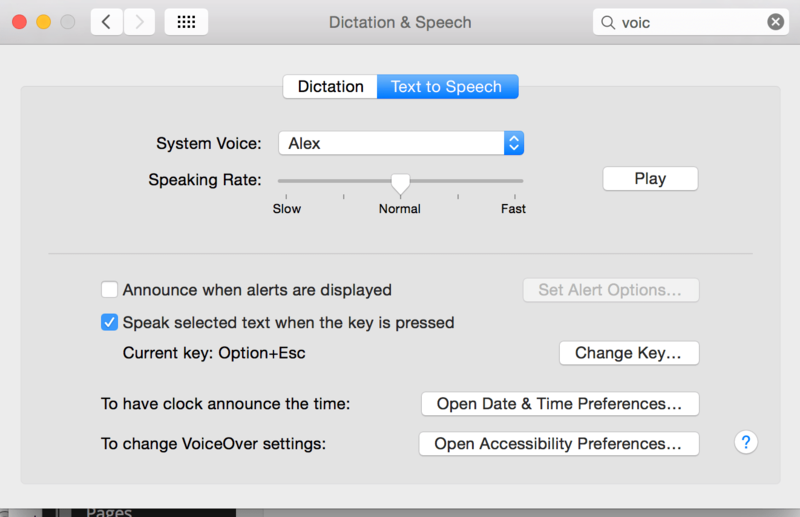 Access text-to-speech in Apple Preview via the edit menu. 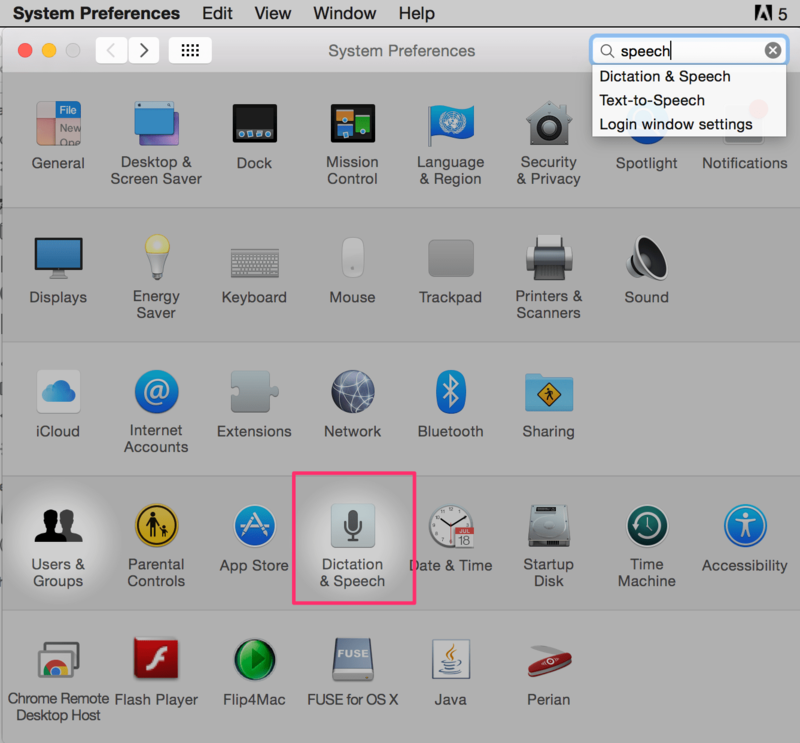 However, it is more likely that you will need to enable speech in the Apple System Preferences. 1. Access System Preferences from the Apple menu. 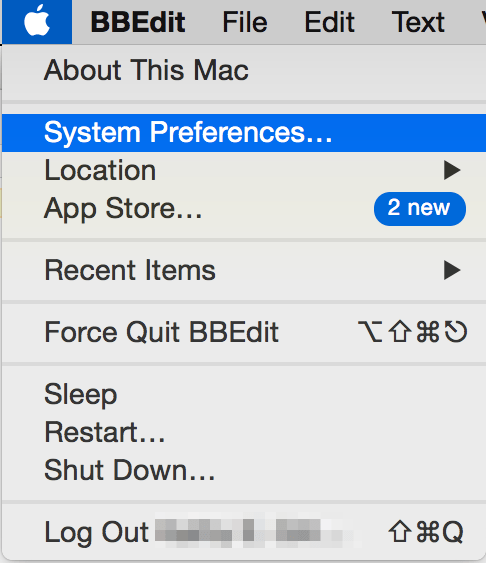 Access system preferences by clicking on the Apple in the upper left hand corner of the screen. 2. Access Dictation & Speech by navigating to it or by typing in the search box (which will highlight it). 3. 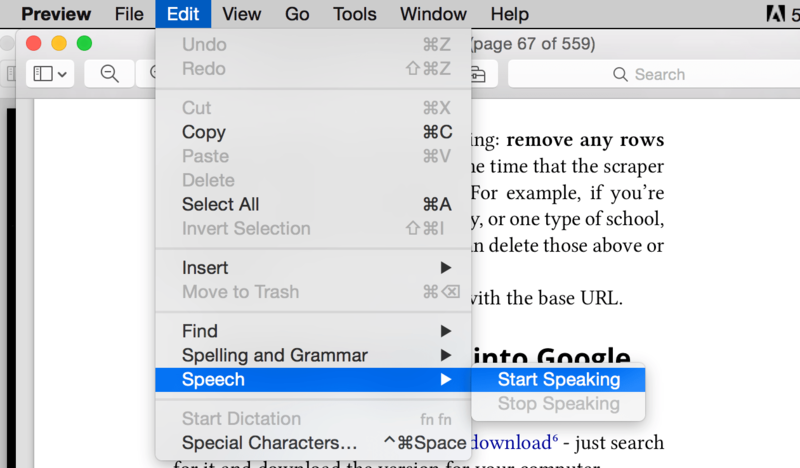 Access the speech panel and enable text-to-speech functionality. You can customize the voice and the rate of speed. You can also change the keyboard combination used to enable speech; by default it is Option+Escape. If you change the combination, make sure you don’t pick a combination that you use for something else. When you are ready for your Mac to being reading text out loud, press the specified keys. To stop the speaking, press those keys again. If you have highlighted a section of text, that is all that your Mac will read out loud. Otherwise, if all is going well, the Mac will read whatever text is visible in the current window. If there is no text for it to read, you should hear a beep. Word is an exception to the rule. In order for your Mac to read any text, you must highlight it first. That means if you want it to read an entire article, you must first highlight the entire document (select all is Command+A). Here are the steps to enable text-to-speech; watch the video for visuals.